We all have favorite seasons. Mine has always been autumn, probably because it’s the time of year I wish would last twice as long. Everything seems mature in the plant world and determined to go out in a blaze of glory. 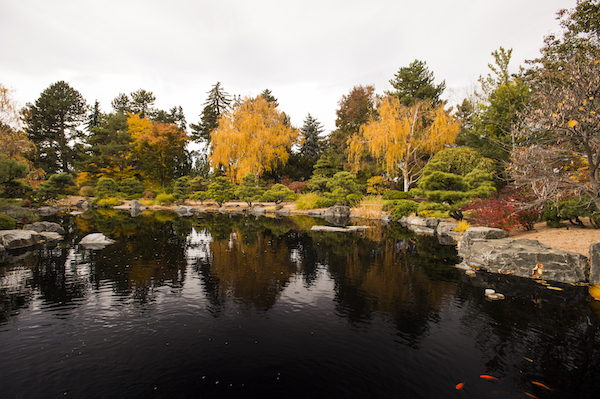 Autumn at Denver Botanic Gardens has definitely reached a new level in recent years. We turn our eyes to Chatfield Farms, with a mind-bending Corn Maze and the down-home Pumpkin Festival. Now, York Street has Glow, along with Día de los Muertos and a variety of harvest classes and ghost tours. In other words, it’s very busy and all good fun. Autumn also wraps a few things up. This year has been simply remarkable. Yes, the Walker exhibit was stunning. Yes, Chatfield Stables Pavilion is a wonderful new asset. And of course, the expansion of the Sensory Garden and the opening of the new Steppe and All-America Selections gardens are fantastic milestones. Certainly, the refurbishment of the Boettcher Memorial Tropical Conservatory, in its 50th year, seems almost like a spiritual fulfillment. All terrific. But the true test is right there in our mission – to connect people with plants, especially plants from the Rocky Mountain region and similar regions around the world, providing delight and enlightenment to everyone. Are we using a vast array of assets to make those connections in powerful, relevant ways? The Gardens’ Urban Food Initiatives is an obvious example. How about Dr. Sarada Krishnan’s wide-ranging work on behalf of the Crop Trust to support sustainable and genetically-diverse coffee production? Whole countries have economies based on coffee and they are simply too vulnerable. Did you know about the teamwork between Chatfield Farms and the Research and Conservation Department that is restoring the natural flow of Deer Creek through our southern property? Then there’s therapeutic horticulture, children’s education (including classes at the Plains Conservation Center), yoga, cooking classes, tours, library programs, lecture series, new publications and botanical illustration – you get the idea. The harvest season, in any culture, is when you take stock of good fortune and hard toil. Thank you to all the volunteers and staff, the donors and supporters, who made this year such a profound success. The cycle of a year is a natural thrill ride, especially when your focus is on the natural world. Before everything gets tucked in for a long winter’s night, it’s a privilege to celebrate the culmination of summer’s dreams in autumn’s light. We are visiting Denver in January. Week of the 17th. Will you be open? Thank you. Yes, we are open 7 days a week from 9 a.m. - 5 p.m. The Orchid Showcase will be taking place Jan. 6 - Feb. 20. Please enjoy your visit!